So you've figured out that the guy you love has flaws. Well, congratulations! We've all got them. But not every time we find flaws in people we love (or like ... a LOT ... for those of you who aren't ready for the "L" word quite yet) needs to mean we've gotten to the end of the road. It's not time to cut the cord quite yet. Hey, if you're lucky enough to figure out all the ways you don't match up perfectly early on, consider it a blessing. It's true; sometimes love isn't enough, but you can also take this moment to decide to love him anyway, despite your differences. Radically accepting someone — loving someone more because of their flaws and accepting them AS THEY ARE — is totally and completely possible. Take it from Andrea Miller. 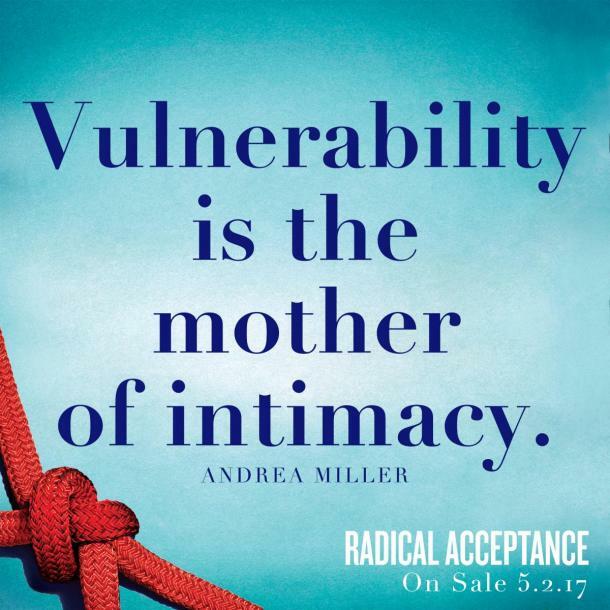 In her book, Radical Acceptance: The Secret to Happy, Lasting Love, she discusses in detail about what it REALLY means to love and accept the people and the things you don't necessarily like, and how, in turn, doing so can change your life for the better. But it's important to understand the difference between someone worthy of this acceptance and someone who might bring along deal breakers and toxic baggage. Not every relationship will work all the time — whether or not you decide to love him unconditionally. But it's worth considering, right? If you're looking for the kind of love that is pure, then you're going to have to work for it. It's not fair to allow resentment to build up, or to hold grudges against each other until you end up throwing things in each other's faces. So instead, focus on your own version of 'radical acceptance' and how you think you should apply it to your own relationship. What do you think would happen if the next time you get in a fight, you just LET IT GO? Or you heard him out and took that step back to really understand where he's coming from? What would REALLY happen if you decided to love your partner, despite his flaws — no... BECAUSE of his flaws? See? The concept of unconditional love and radical acceptance is all-encompassing. It means you love him because he is, well, HIM. So, next time you wonder whether the person you love is worthy of this unconditional love, ask yourself whether you truly are in love with him, of course, and then determine whether any of these so-called 'flaws' are deal-breakers, or relationship-makers. Unconditional love is loving someone beyond their limits, and yours. Because someone doesn't love you the way you want them to doesn't mean they don't love you with all they have.